Sorry I have been MIA for a few days. A serious migraine kept me from reading as much as normal, but I am back to my somewhat abnormal self and excited to get back on top of my To Read list! Also, I have been doing some brainstorming on posts to share in addition to reviews, so expect some new content soon. But for now, let me tell you about the new Liane Moriarty I finally got my hands on from the library...Truly Madly Guilty. As I told you over here, Liane Moriarty's books are automatic To Reads for me. I have enjoyed every one, and I think they make marvelous Book Club selections because they are usually filled with all sorts of juicy nuggets to dissect and discuss. 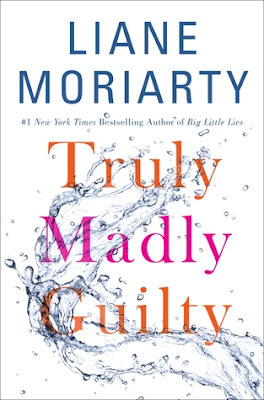 Truly Madly Guilty wasn't my favorite of hers, but it was definitely filled with conversational fodder. I really enjoyed the format of this book. I tried to describe it to my son and it went something like this: It gives you a little tidbit of the aftermath of "the event"...then bounces to right before "the event"...then a tiny morsel of "the event"....then back to the aftermath...then the precursors...etc, until FINALLY you understand what happened!! I have actually read quite a few books recently that were set up like that, including The Passenger by Lisa Lutz. I have learned you just can't think about them too hard. You have to roll with it, or you'll be driven batty. Truly Madly Guilty is the story of six adults...three couples really...and the event that changes their lives, some in huge ways and others in small. Clementine and Erika have been friends since they were kids, but they have a very strange and dysfunctional relationship. Erika had a bad childhood, and Clementine's mother took her on as a project for her really. A "look at that poor little girl, she needs a friend" sort of thing...and Clementine has fought with her disgruntled feelings ever since. Clementine is a concert cellist and has two little girls with her husband Sam. She likes to think of herself as an artistic bohemian, and they have a pretty solid relationship. Erika is the accountant she always aspired to be...married to another number's person Oliver. She comes off as a very stiff and rigid character, with a possible personality disorder...but the two were made for each other. Vid and Tiffany are Erika's neighbors who invite the two couples over for a BBQ (aka, the event). They are loaded, live in a pretentious dream house, and Vid's very boisterous over-the-top character almost hogs the entire book. So...what happened at the BBQ? You'll have to read it to find out. I try my best to keep the spoilers at a minimum but I can tell you that some of the book club discussion content would include pregnancy, sexuality, hoarding, a little kleptomania, friendships, death and grieving, marital bliss, and what makes a good couple. This is why I think her books are perfect for your average book club (not that I was ever involved in an AVERAGE book club!!). Like I said up above, this wasn't my favorite Liane Moriarty book, but I thought it was good. I would give it 3.5 stars (rounded up on Goodreads). I liked What Alice Forgot much more. Yes, it kept me reading because I was dying to figure out what on earth happened at that damn BBQ...but once I had figured it out, there was a little meh moment. It just didn't captivate me. "The Event" wasn't as juicy as I'd thought it would be. But it was still a solid book. Are you a fan of Liane Moriarty's books? Have you read this one? What did you think? 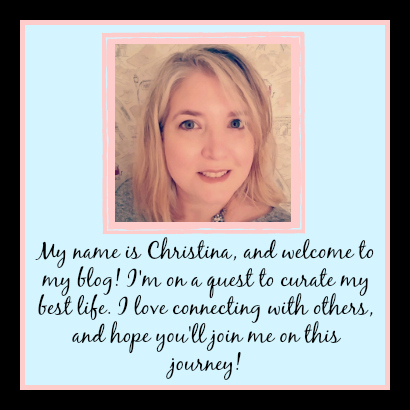 I am always curious if I'm being too hard on an author! Let me know in the comments, or over on my Facebook page.